Call us on 0432 073 374 Or Contact Us Using The Form Below. 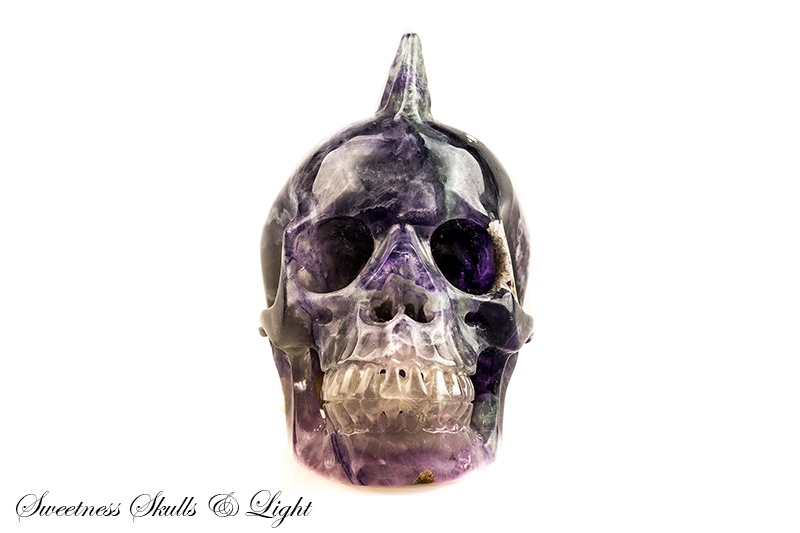 Sweetness Skulls and Light are a specialist retail shop located in Byron Bay in northern NSW. 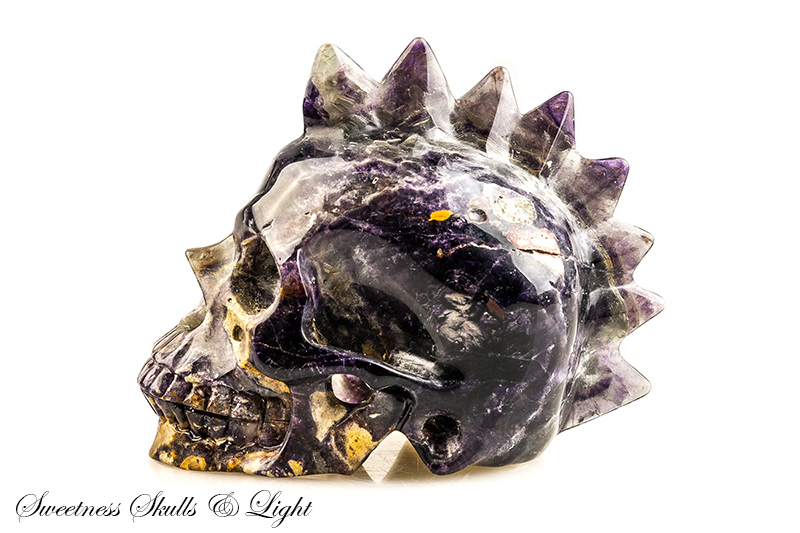 If you are shopping for a crystal skull for healing, spiritual connection, and meditation – we offer the best prices, quality, and authenticity. 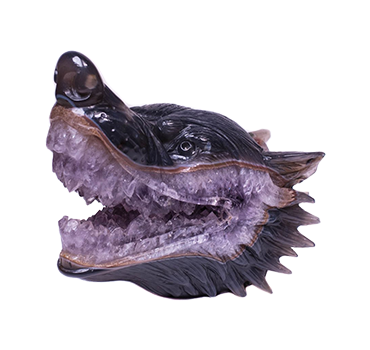 All our crystals are carved by Master carvers from Brazil, who are considered ‘shaman’. Our website provides a convenient and seamless online shopping experience and we ship both Australia wide and worldwide. Our Byron Bay NSW shop is open Monday to Sunday between 10:30am and 5:30pm. We have outside hours available by appointment. 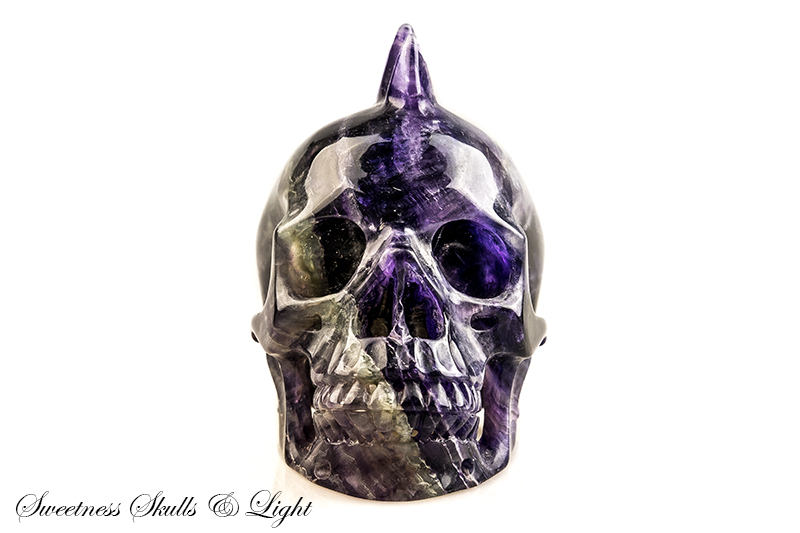 Your home online for genuine master carved crystal skulls. 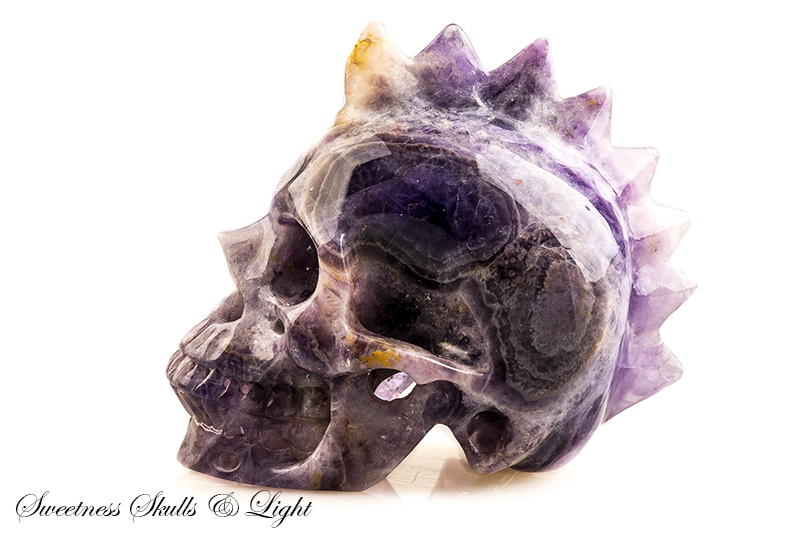 Crystal skulls combine the natural energy and power imbued within the crystal along with natural human vibrations. The process of carving a new shape out of a crystal changes the original frequency of vibration. 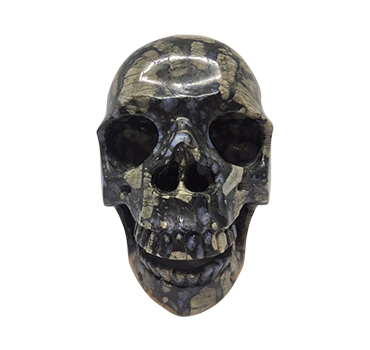 A skull shaped crystal ‘humanises’ it and symbolises life and immortality. 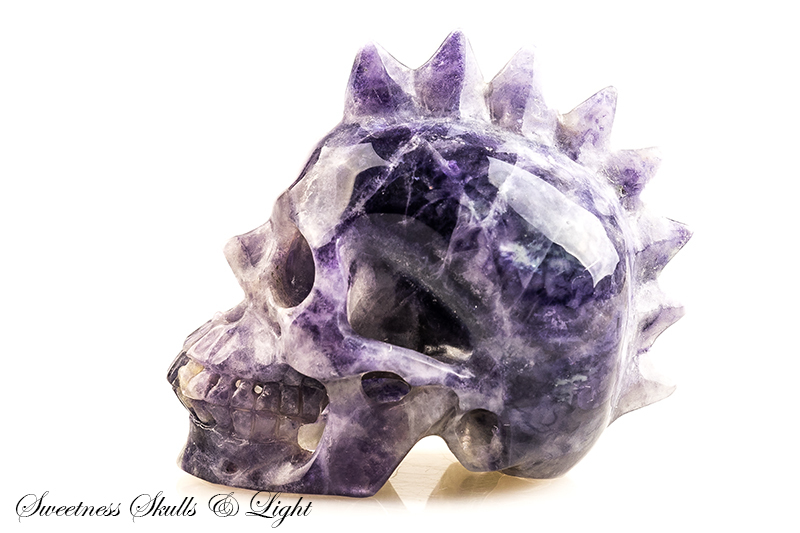 Sweetness Skulls and Light is my number one go to shop for crystal skulls, and I have purchased many from Sweetness Skulls and Light. 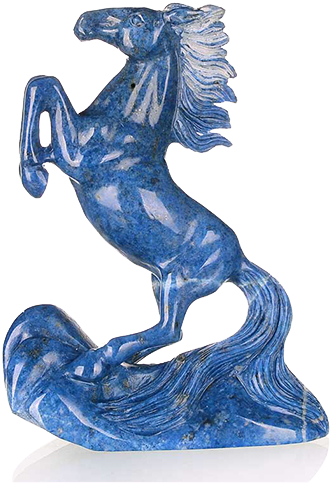 Their range is huge, the variety is incredible and they source the best high quality crystal. Katherine and the team are lovely, funny, efficient, and they sure know their crystal stuff! If you can’t find what you’re looking for talk to one of the team and they’ll do whatever they can to help you out. I also love Katherine’s uniquely beautiful artwork and her amazing use of colour. 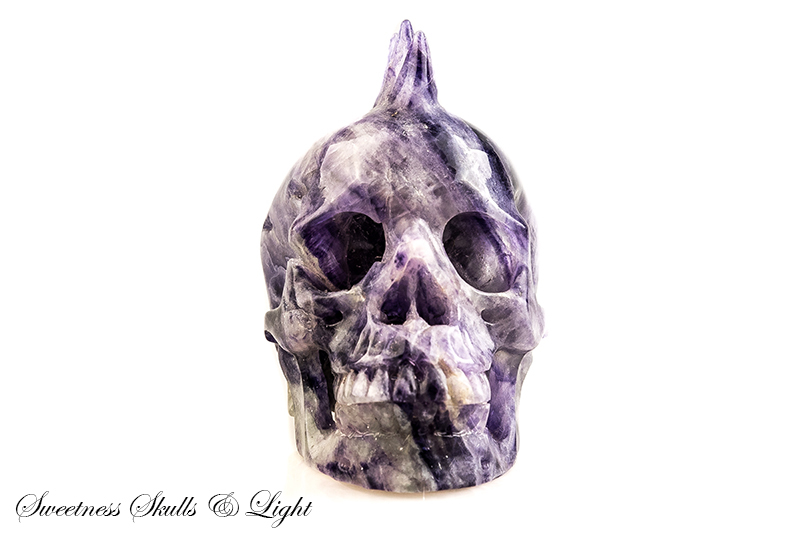 I have high expectations when shopping at Sweetness Skulls and Light and I have never been disappointed. Thank you Sweetness Skulls and Light. Natalie and Linda are so welcoming, knowledgeable and humorous! I am very sensitive to different energies as I am an energy worker and channel. The energy in the store is amazing. It charges me up, that’s for sure! The 4 skulls I have purchased assist me greatly in both my work and everyday life. 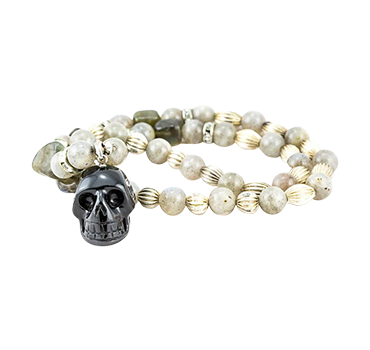 The skulls I have chosen have a variety of benefits; grounding, amplifying and expanding. 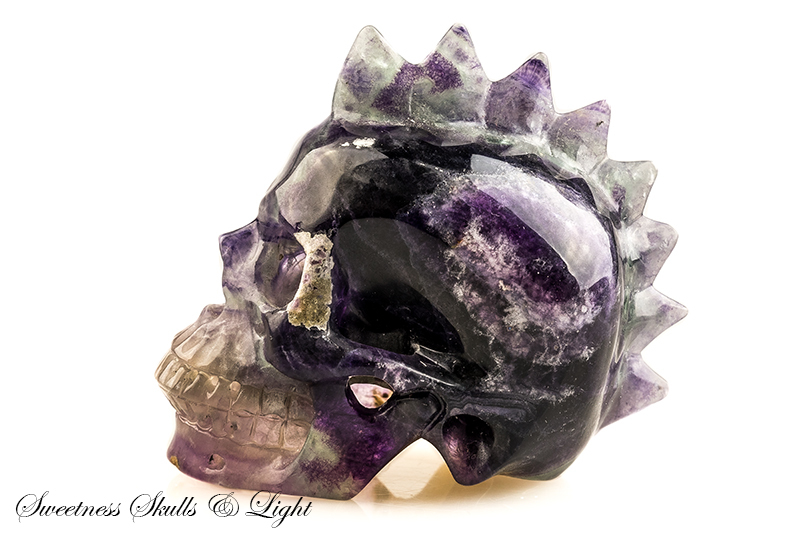 Sweetness, Skulls and Light is now my “go to” for purchasing crystals. I highly recommend a visit to this amazing store. Like no other. My first experience when walking into your shop was a mix of emotions. The beauty, the energy, the colours all combine to create a real ‘wow’ moment. In fact I think I said that word over and over as I wandered around. I have never ever seen so many crystals in one place. and you can see these are of the highest quality. Linda in the shop was so knowledgeable about the crystals and I left knowing so much more than when I went in. I have visited your shop many times since and always like to introduce my friends to this incredible wonder in Byron Bay. Kate first came into my world after a life altering moment. I was visiting her shop in Byron and made an unexpected connection with one of her crystal skulls. I had never experienced anything like that, in fact I knew very little about crystals at all. Kate’s incredible knowledge and insight into what I was experiencing were like nothing I had encountered before and she helped me understand what was happening with this connection. Without her wisdom I would never have had the opportunity to learn about the healing powers of crystals. Thank you Kate.